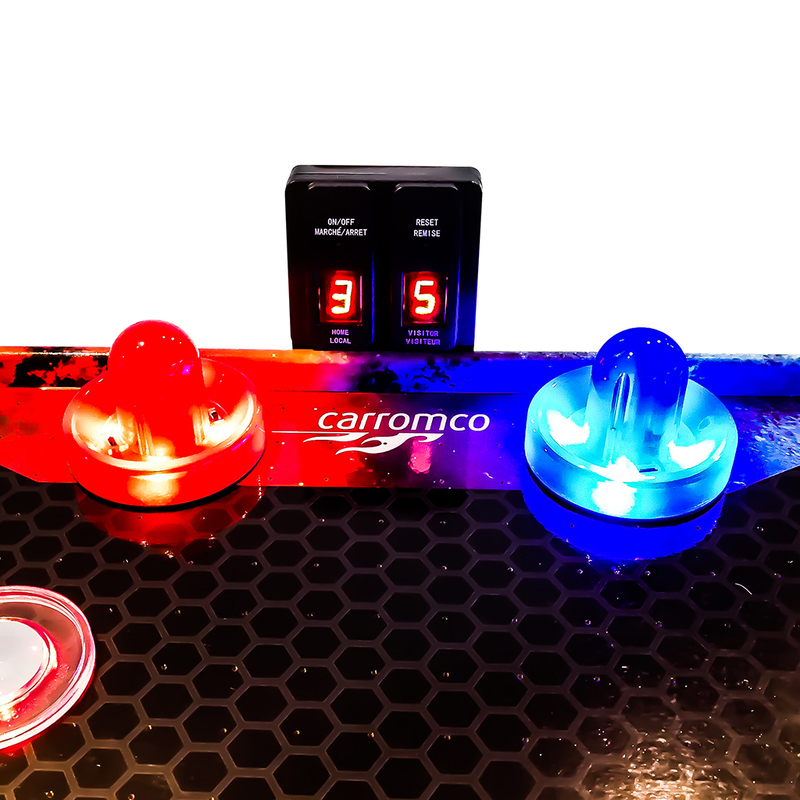 Air Hockey FIRE VS ICE | Products | Carromco - License To Play! 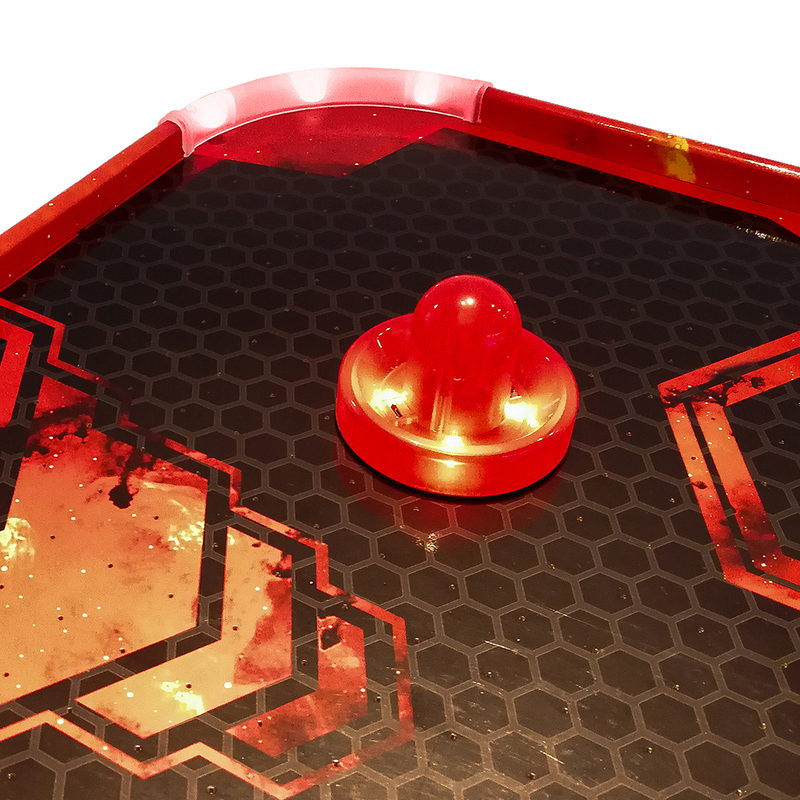 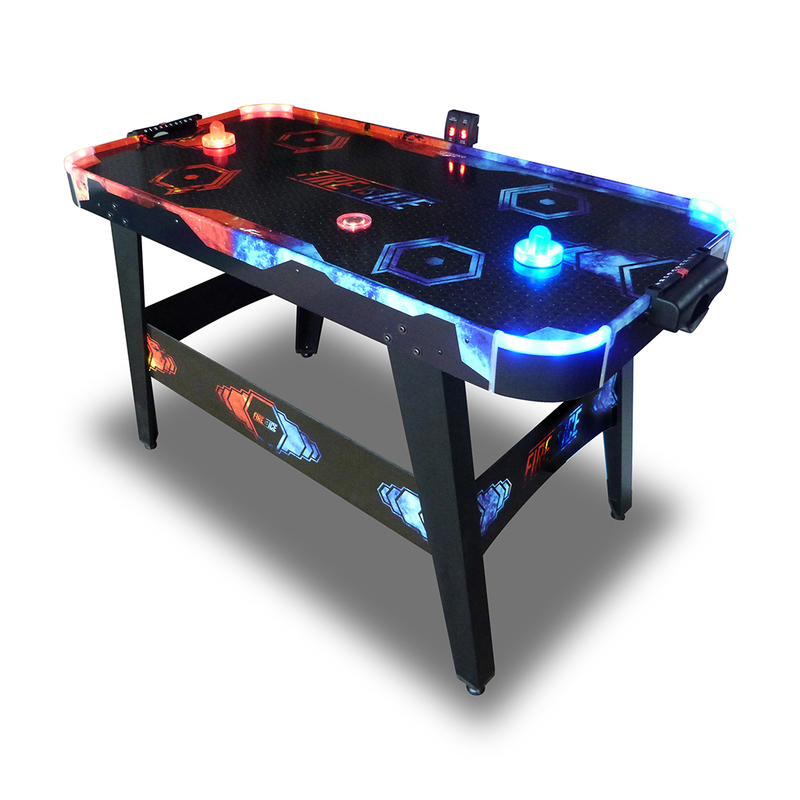 This interactive 4.5ft (146 cm) Table attracts with its eye-catching FIRE vs ICE design on playfield, aprons and even leg panels. 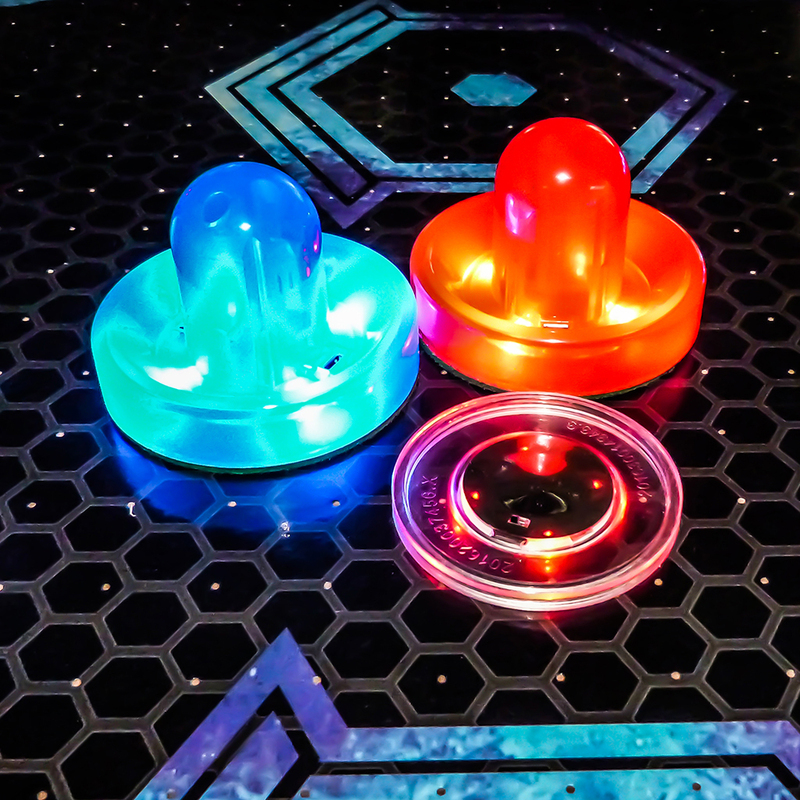 Even better – the puck and pushers are equipped with LED technology so you can play in the dark! 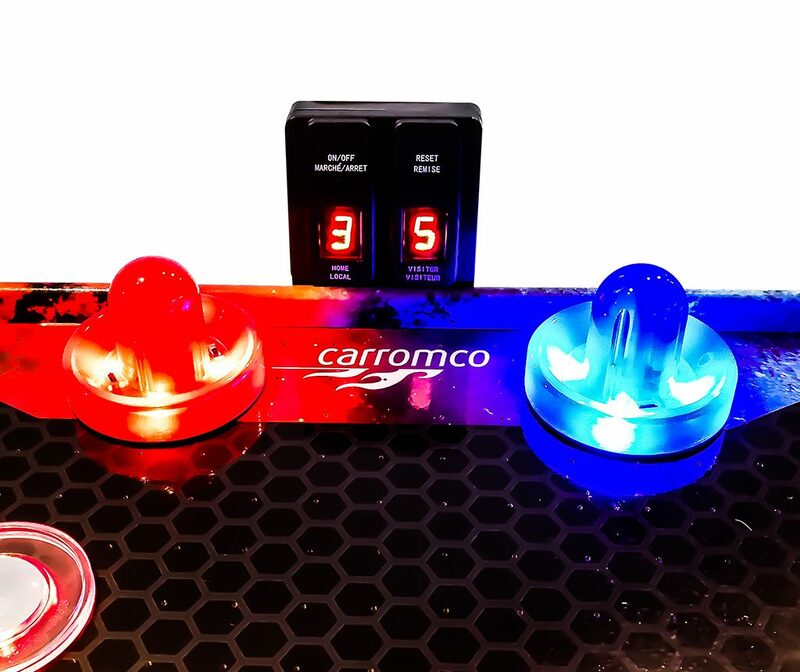 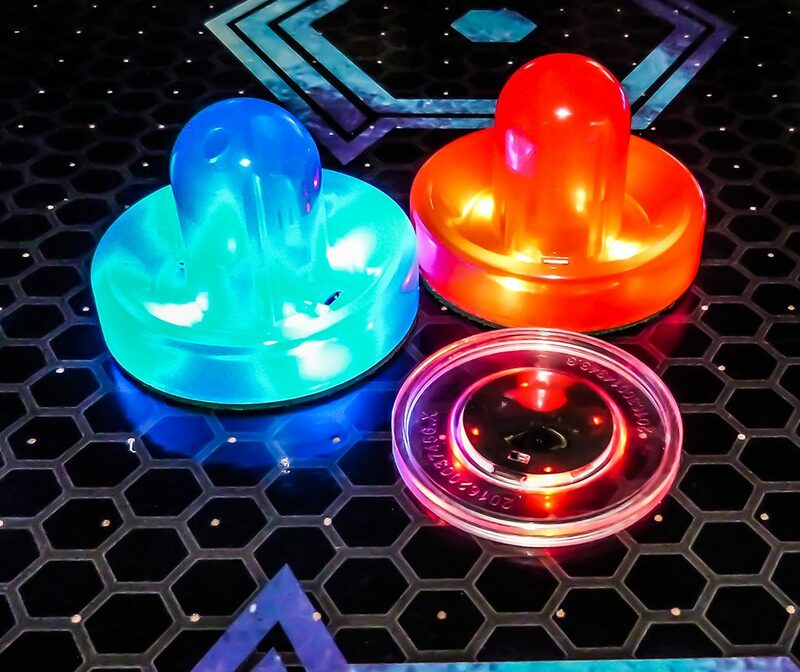 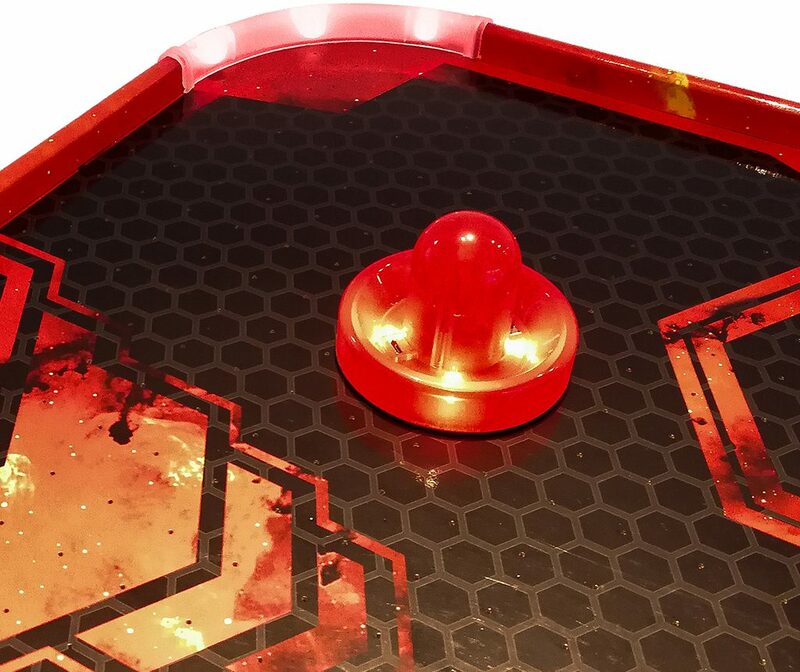 Light up the night and see the red LED puck glide across the playfield, and the LED corners light up in your color when a goal is scored. 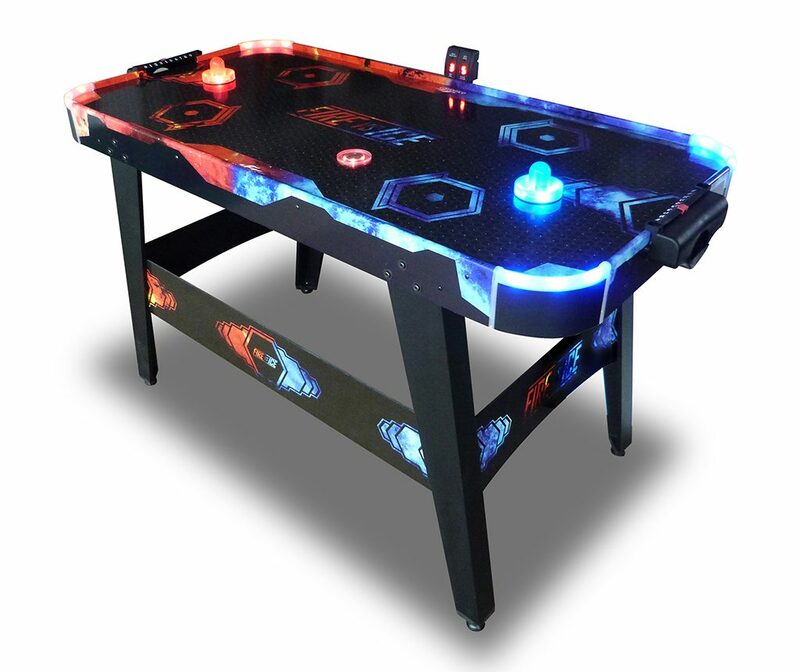 Strong Airflow for a fast and furious game play and an electronic scorer with LED Display to keep track of the action complete the perfect Airhockey experience!